It is true that you can get water flushed into any spot where a clog or other significant problem might develop in your plumbing system. With a flushing plan, you can get water to help with adding pressure. This can help you with clearing out clogs and with testing how well pipes are aligned. The total amount of water that you would use should be reviewed beforehand. If you add too much water then you might be at a risk of getting a serious backup. You can generally use about three to five gallons at a time. 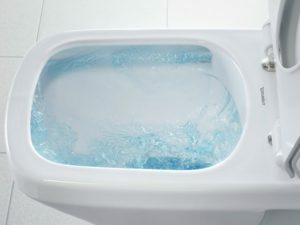 The water should be flushed slowly to allow gravity’s pull to move through the area and get the water down the right way. Any existing water should be drained carefully. This is critical if you have a water heater. You must drain out all the water so any new water that comes in can move clearly and effectively. For instance, when you drain a water heater, the flushing process will help you to get more sediment out of its body. This comes as the existing water that had supported the sediment will be properly removed. If you’re going to flush water, you should ensure that the water is clean. This will ensure that you get the most out of it. The last thing you want to do is create more problems. Make sure you are cautious and know what you’re doing before attempting any DIY plumbing. get out of it. If you haver any questions, call the Dallas Plumbing Company today.